/ Has Your Dog Ever Done THIS With You? What It Reveals Is Amazing! 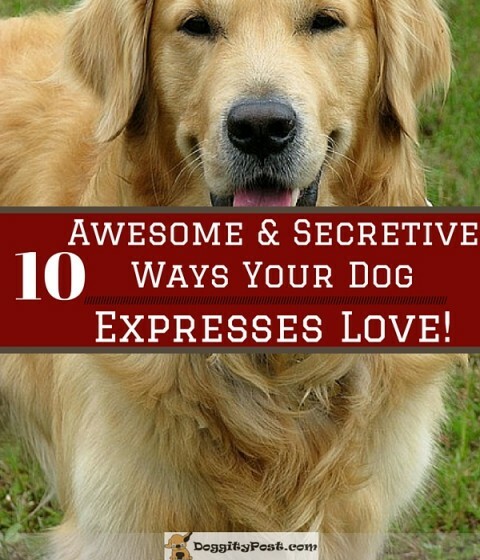 10 Awesome and Secretive Ways Your Dog Expresses Love! Have you ever tried to figure out just what your dog is thinking or trying to tell you when it does certain things? Sure you have. If only we could be like Dr. Doolittle, how nice that would be! But although we can’t carry on a direct conversation with our dog, new research into the science of dog communication has revealed some very interesting findings about some of the unique ways our four legged friends express their love towards us. When a dog looks at you while the two of you are playing with one another or just cuddling, oxytocin is released. It’s the same hormone that helps new mothers bond with their babies. If you want to test this out with your dog, don’t go home and a have a staring contest with your pooch. He will sense something is off, and look away because he feels awkward. Instead, try to naturally maintain eye contact with him during your normal routines and see how he responds. Yawning is contagious. But did you know this impulse isn’t limited to just humans? Dogs, because they’ve been bred to read humans, also yawn when someone they love yawns. A study found that when humans echo another’s yawn, it’s because they’re empathetic, like sympathy pains. It’s impossible to measure if dogs are empathetic, but it’s possible that a dog yawning the same time as a human happens because the dog has bonded with that person. The study also found that dogs were more likely to yawn when their owners yawned, as opposed to a stranger. The song “Lean on Me” is all about offering support and dogs crave that same kind of security. Sometimes a dog will lean on a human because he is anxious, wants you to do something, or take him somewhere. But leaning is also a symbol of affection. Even if your dog is leaning on you out of pure nervousness, he is still doing it because he thinks of you as someone who can protect him and keep him safe. In his book, How Dogs Love Us, Gregory Berns, if your dog cuddles with your after eating, it’s a strong sign that they do indeed love you. Most dogs lovers (or even people who don’t like dogs) know that pups are motivated by food. But according to Berns, once a dog eats all its food, his next action can signify what’s most important to him besides eating. Sometimes your dog may have to do his “business” right after a meal, but watch how he reacts in the morning and at night. If he’s snuggling up with you after one of these meals, then there’s some definite puppy love on his end. We think we can read a dog by its tail, but its facial expressions are a way more powerful indicator. In a recent study in Japan, dogs were introduced to their parent, a stranger, a dog toy, and an item they didn’t like. When seeing their parent, the dogs immediately lifted their eyebrows (especially their left), and when they saw a stranger there was a lot less facial movement, except for movement of the right brow. Yet, when they saw an item they knew and had bonded with, the dogs shifted their left ear back. But if it was an item they didn’t like, their right ear shifted. According to the study, this suggests the dog is more reserved when they are engaging someone they don’t know or something they disapprove of.